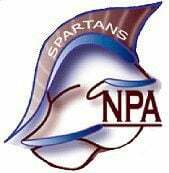 The Flagstaff Eagles and Northland Prep Spartans wrestling teams competed at the 48th Joseph City Invitational, with each program seeing some success in the individual matches on Saturday. On Friday for the dual meet part of the invite, Flagstaff, a Division III school, finished in eighth place as a team falling to D-IV River Valley, 48-36. D-IV Northland Prep finished 17th in the duals. Flagstaff's Easten Skinner had a first-place finish Saturday in the Gold bracket at 138 pounds, and teammate Ben Evtimov finished first in the Blue bracket at 170 pounds. Both pinned their opponents for the top spot of their respective brackets. Kobe Yazzie (120 pounds) and Josiah Stuart (170) each had fourth-place results in individual action for the Spartans, with the former competing in the Gold and the latter in the Blue. For the Eagles in the Blue brackets, Ian Galloway (126) and Gabriel Brown (160) each ended as runners-up. At 182 pounds, Flagstaff's Oleksiy Evtimov won his third-place Gold match on a 14-8 decision. Also competing in Gold brackets for Flagstaff, Andre Ryan (132) was fourth, Zach Collins (145) sixth and Hunter Lewis (152) eighth. For Northland Prep, Jonathan McGrew ended up fifth in the 138-pound Gold bracket, with fellow Spartan Liam Cashmore also fifth in the Gold competition at 160 pounds. Alexander Yamamoto (132) finished eighth in the Gold bracket, and Claire Gibson (152) fifth in the Blue rounds. Northland Prep will host a multi-meet on Tuesday, and Flagstaff is scheduled to compete Wednesday in Prescott.